A friend highlighted this article to me a few days ago and I had quite a reaction to it. An ad-hoc alliance of about 15,000 financial advisers and managers are hoping to sway a review panel, which is considering, among other things, doing away with the commission model that most insurance and financial advisory firms use. It is entirely expected that all 13,000 tied agents would fight tooth and nail against the ban of commissions. Why? It’s simple – nobody would want to pay a fee to a person who is a sales representative of a product manufacturer. The old model worked because it was merely the transaction of products – advice is given “free” and the client will take up the product if he is persuaded enough, earning the agent commissions. The other 2,000 advisers probably come from financial advisory firms which are new-age financial sales agencies, just that they have more products to sell. The alliance is arguing that the move towards a fee-only model – essentially a fixed fee for advisory services – would endanger the livelihood of the financial advisers. I have established the case that there are already way too many practitioners in this industry. I think advisers who do not want to – or cannot – serve clients’ interests should rightfully leave the industry. Quality is more important than quantity. 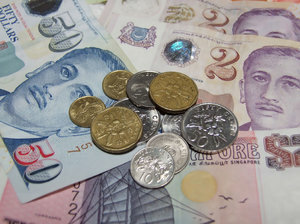 It is also refuting an assertion by Monetary Authority of Singapore (MAS) Managing Director Ravi Menon that the commissions can amount to 160 per cent of the annual premium of a product. Commissions may be less than 160%, but what about total distribution costs (which includes commissions, bonuses and various other agent incentives)? My sales training in my past experience focused on products that consist of distribution costs that amount to more than 180% of the annual premium of the product. A quick check at the sales roadshows near MRT stations and shopping malls will find many agents pushing this kind of product – especially when they have rents and free gifts to cover for. Commissions are only a part of the story when there are bonuses and various incentives like overseas trips and free laptops the agent gets when he hits targets. The review panel’s proposals, if adopted, would see the industry undergo the most wide-ranging shake-up in more than a decade. The changes are already way overdue because we are rapidly approaching an entire generation of Singaporeans who are neither well-insured or prepared for retirement due to the bad quality of advice dispensed by practitioners. In fact, 13,000 tied agents and their agencies have resisted the shake-up in 2002 when the Financial Advisers Act was introduced. This industry has proven that it does not like change when it is done for the better of the clients as it affects its bottomline. The commission model and “caveat emptor” (buyers beware) have failed and ordinary Singaporeans are facing the repercussions of an industry that uses “financial advisory” as a euphemism for “financial sales”. The regulator has to thus make a tough decision in light of strong opposition from this “alliance”.